The Asian Energy Studies Centre (AESC) held a full day of events, featuring a public seminar and an internal research meeting between scholars from the Energy Research Institute of the National Development and Reform Commission (ERI) and AESC research fellows. These events strengthened AESC’s role as a hub for sustainable energy research on the Asian region, with emphasis on China’s emerging practices and developments in coming years and decades. More than 30 people attended Prof. Dan Yande’s public seminar on “The 13th Five-Year Energy Plan: Challenges and Prospects”. Prof. Dai Yande, ERI deputy director and research professor, spoke on the “13th Five-Year Plan on Energy Development: Challenges and Prospects” at Seminar No. 4 of the Energy Research Seminar Series. More than 30 people from utility companies, consultancy firms, non-governmental organizations, businesses, and academia attended this seminar. 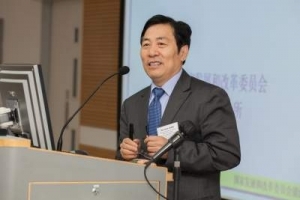 Prof. Dai argued that the monumental challenges China currently faces such as the degradation of land, air, and water, will fundamentally need to be solved through low-carbon energy development. The 13th Five-Year Plan in Energy Development would set targets that will eventually facilitate China’s transition to sustainable development towards 2050, and begin to address the forecasted increases in energy demand, while at the same time drastically reduce energy intensity and spur economy growth. Prof. Dai Yande from the Energy Research Institute of the National Development and Reform Commission presented on “The 13th Five-Year Energy Plan: Challenges and Prospects”. Scholars from ERI and AESC’s research fellows showcased their respective research projects and discussed potential opportunities for future collaboration on sustainable energy research. Potential projects would be further developed into proposal applications to be submitted in early to mid-2016. This meeting and potential partnership is a major development in AESC and HKBU’s research networks in sustainable energy research in China and on the Asia region. 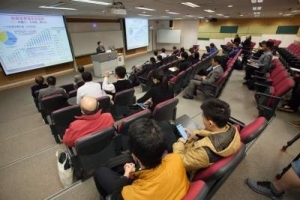 To learn more about AESC, please visit http://aesc.hkbu.edu.hk/.